Ranbir Kapoor and Alia Bhatt to Buy a House in New York? Ranbir Kapoor and Alia Bhatt are the hot new pair of B-town. Fans of the duo are eagerly waiting to know when this lovebirds will take their relationship to the next level. There have been reports doing rounds that the Kapoors and Bhatts are planning to finalise the couple’s wedding date as soon as Rishi Kapoor returns from the US. The veteran actor is in the Big Apple city for his treatment and it is said that the families will meet a pandit as soon as he returns back home. 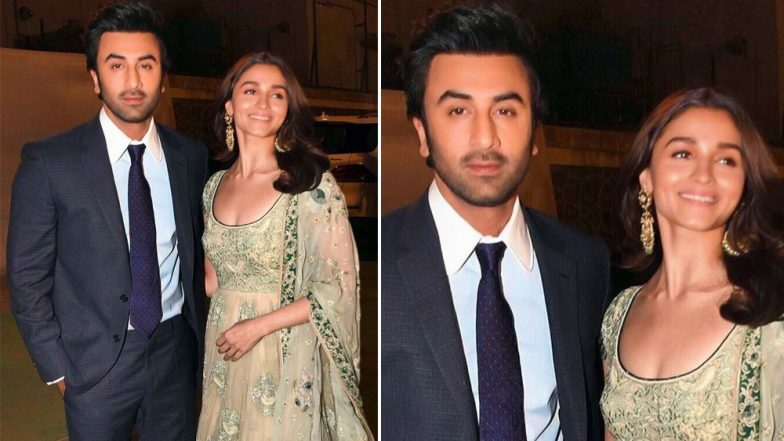 Will Ranbir Kapoor-Alia Bhatt’s Wedding Date Be Fixed Soon After Rishi Kapoor’s Return From the US? Now the next hot buzz is Ranbir Kapoor and Alia Bhatt are planning to buy a house together in New York. As per a report in Mumbai Mirror, Ranbir and Alia are so much in love with the city that they have decided to turn a studio apartment into a home. And it is also said that it is Ranbir’s mom Neetu Kapoor who is helping the much-in-love couple in looking out for a space while she is there. Looks like New York is going to be Ranbir and Alia’s second home! Alia Bhatt's Response to Kangana Ranaut's Allegations on Ranbir Kapoor and She Being 'Socially Irresponsible' is GOLD. On the work front, Ranbir Kapoor and Alia Bhatt will be seen in Ayan Mukerji’s trilogy, Brahmastra. This is the first time that they have collaborated for a film and it is scheduled to release in Christmas 2019.